An interview with Rachel Wall, Hygiene Productivity Expert and founder of Inspired Hygiene, Inc. Please take a moment to read this before working with the Inspired Hygiene team. What Makes Inspired Hygiene Unique and Successful? What makes you a Hygiene Productivity Expert? For what type of dental team is this program NOT going to work? How do hygienists usually respond to your coaching program? What exactly is The Hygiene Profitability System and what does it include? How can I guarantee that I see an increase in hygiene profits, in record time? I know which program I want. How do we get started? How can I sample your work at low cost to see if it’s the right solution for me? I’m ready to do this for myself and my team, but I have a couple of questions. Can I call you? First and foremost, Stacy, Kim, Jamie and I are all clinically active dental hygienists. Frequently, you can find me caring for patients in private practice while Stacy is teaching in the clinic at UNC. With a combined 7 decades of experience, Stacy, Kim, Jamie and I are committed to maintaining our clinical roles and we feel this gives us great insight into the practical application of what we teach. We walk our talk! Next, we invest our time, money and energy in continuous improvement of ourselves. I couldn’t ask my clients to invest in our coaching programs for their businesses if I were not willing to do the same. Every year, I personally invest much more than the cost of our most comprehensive coaching program in training and coaching for myself and the entire IH team. Everyone on our team works with mentors in and out of the dental industry to help us help our clients get dramatic results with adult learning techniques, coaches training, mindset training and the latest in clinical dental science and techniques. In addition to these amazing professionals, we collaborate with other experts in our field to give our client teams knowledge from many different sources in the areas of perio science, insurance coding, laser therapy and adjunct services. We are able to start working with our clients the day they decide to come on board with structured pre-work before our private coaching days. This allows us to hit the ground running so you can begin to implement what you learn immediately and see the return on your investment very quickly, (often within a few weeks). Inspired Hygiene offers hygiene coaching programs at all price points including virtual, group and private coaching, hands-on training and consulting. We are also different in that we have a unique training process that blends evidence-based diagnostic and treatment services, clear clinical and hygiene business systems, with mindset training; the key to achieving lasting results and change. 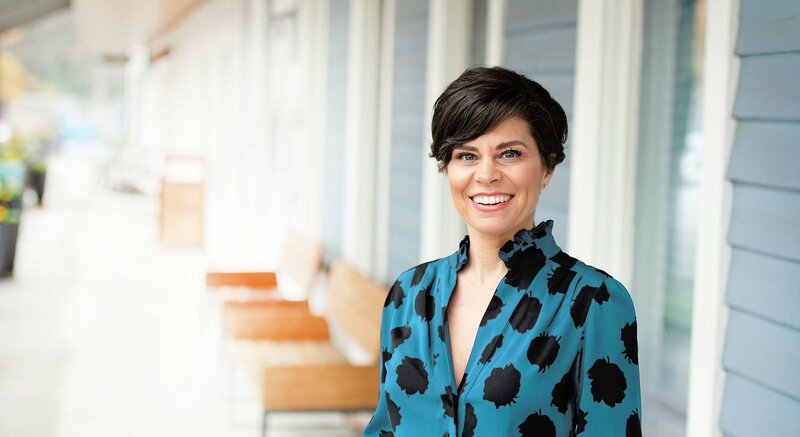 I’ve been a hygienist for more than 20 years practicing as a clinical hygienist and office administrator in private dental practices, group practice and in faculty practice and research at my Alma Mater, the University of North Carolina School of Dentistry. It was during my time working at UNC in 1999 that I had a defining moment in my life and career; that is the real reason I became a hygiene coach, speaker and writer. One of my best friends saw me on the verge of leaving dental hygiene. She was facing the last few months of her life and she saw that I was not making the most of my healthy, happy life as a twenty-something. She asked me to take a good, honest look at the career and personal growth opportunities available to me as a hygienist. She knew I had blinders on and couldn’t see what was out there, right in front of me. I made her a promise that I would do just that. I had no idea I’d end up where I am today. I started studying everything I could get my hands on about advanced hygiene duties, the perio systemic link, the business of hygiene and personal development. I started really engaging the doctors I worked with to teach me about dentistry and their treatment philosophy. It opened my eyes to so much learning and growing that was there for me to grasp. I began working as a trainer for a practice management coach and I loved it! I still remain active as a clinical hygienist and that is still a part of my core values as a hygiene coach and speaker. I saw so clearly the impact hygienists can make in our patients’ lives, much past the dental chair. I started learning and really knowing the systems that must be in place to build a productive hygiene team that is grounded in high quality care. I have made a commitment to dedicate the rest of my professional life to helping dentists, hygienists and entire teams recognize their power to positively impact their own careers, their patients’ well-being and to reap financial rewards as a result of delivering high quality care. Since then, we’ve personally coached hundreds of dental professionals all across the country, in our private and virtual coaching programs, spoken in front of countless groups, and have created The Hygiene Profits System; a series of 10 important practice-building steps every dental team needs to apply to tap into hygiene profits while delivering outstanding care. I’m so proud of my team and want you to learn about them as well. Stacy, Kim and Jamie play a huge role in our content development and training. Stacy, Jamie, Kim and I are Lead Hygiene Productivity Coaches. I handpicked Stacy, Kim and Jamie to join Inspired Hygiene for their unique professional experiences and the training they’ve received during their career. Click here to learn more about them. We work with dentists like you in private practice who know that they and their teams are really good at what they do; however, are not tapping into their full potential for patient service and profitability in hygiene. Our clients have anywhere from one to many hygienists working in their practice and they are ready to give hygiene the tools and support they need to really step up to the next level. We’ve worked with dental teams all across the country, from coast to coast. How are you different from other “dental consultants”? Although we occasionally touch on general practice management issues, you have us as hygiene profitability experts and coaches. What that means to you is that we are very focused on anything and everything that builds the profitability and integrity of the hygiene department. If we see a business management system that is out of place, we will refer you to an expert in that area. We are also really good at seeing what’s standing in your way. Whether that is the structure of your hygiene schedule, your team’s mindset or communication breakdowns, we clear through those right away to get to your desired results faster. After years of analyzing and coaching dozens and dozens of practices, we’ve become experts at this stuff and that’s why our clients get great results (and we throw in a healthy dose of compassion, humor and encouragement, which ALWAYS helps!). The Hygiene Profitability System, coaching programs, webinars, and our Mastermind program were created for people who are absolutely excited and deadly serious about increasing hygiene profits through high-level service for their patients. Our programs were created for you to put systems in place within a few months (sometimes weeks! ), which will eventually lead you to a hygiene team that is inspired, motivated, engaged, productive and committed to the health of both your patients and your practice. Being a group of high achieving go-getter ourselves, we work best with other high achieving go-getters who are super-ready to get going and want to know exactly what steps to take to increase hygiene profits and maintain the results for the long haul. Consider what you do with us to be an action-learning course. You will be expected to take serious and consistent action and to support your team in doing the same. We will coach you to be a strong, yet compassionate leader as you hold your team accountable for the changes you’ve all agreed to make. No excuses anymore for why the perio charting wasn’t done or why treatment wasn’t presented, just a different way of thinking and full support while you achieve this incredibly exciting goal: more hygiene profits, hygiene filling YOUR book and an engaged hygiene team. We do expect you to share the success with your team-at whatever level is appropriate for your practice. Not everyone is motivated by money but having a little ‘skin in the game’ never hurts. Your team is going to be stretched beyond their comfort zone in many cases and they are going to be asked to play a different game from now on. It is imperative that they are acknowledged and supported in this process. Please know that we are very selective in who we work with. We (gently) turn away people who aren’t suited for our programs or have other obvious issues in the practice that they must consider working on first. Inspired Hygiene’s programs are not for those practices that have major personnel conflicts or extremely resistant hygienists; our programs are not for dentists that have a hard time leading their team, making decisions or waffling on agreed upon systems and protocols. To get the best results, we need you, the doctor, to be very clear on what you are working to achieve and to support and lead your hygienists to that place (with our help if you need it). We do not hire or fire hygienists although we will give you our honest opinion if we feel you have a team member that is holding everyone else back from progressing. If you fall within these categories, it’s absolutely OK. We’ve all been in times of difficulty in our practices. Determine which hygienists on your team you’re committed to keeping and are committed to you. Make changes if necessary. Clear up any major personality conflicts and disruptions to create more harmony with your team. Study leadership techniques and get very clear on what you will and will not accept as your Standard of Care for your patients. Sign up for the free Inspired Hygiene e-zine to get high-content, high-value articles and tools to get you started towards your goals until you’re ready to work with us one-on-one. A strong leader and clear expectations are absolute musts with any coaching program. If you decide to enter the Elevate or Kick Start programs, we will schedule a ‘get acquainted’ call with you and the hygiene team before we begin our work together. It is imperative for us to begin to build a relationship with your hygiene team before we ever step foot (literally or virtually) in your practice. This allows us to create an environment where the hygienists are comfortable sharing their frustrations, questions, uncertainties and successes. It also gives you an opportunity to share your objectives for our time together and show the hygienists that these new tools and systems are going to make their jobs easier and more enjoyable. It’s a time to get everyone ‘on board’ and clear any concerns. We have the utmost respect for the work you and your team do every day with your patients. In the case that we make a live visit to your office, we will never stand over your hygienists or correct them while they are working with patients (that’s not how we work anyway). While the majority of hygienists will have some reservations about working with a coach, they consistently see the benefits once we start working together and they see the results they’ve been able to achieve. We celebrate their success and their role in helping build the practice and their career caring for patients. We examine all aspects of your hygiene department including how the schedule is created, fee structure, coding, doctor and team mindset, hygiene instrument kits, supply and demand and so much more to see if there are areas that will hinder your growth. We address these right away and work to clear them as quickly as possible. This work often begins before the real coaching and training begins. This allows you to see results much faster as you and your team implement new systems. Through interactive exercises and our Profitable Perio webinar series, your team will learn from industry experts while creating a strong foundation of knowledge of the periodontal disease process, the prevalence of disease in your own practice, the impact perio disease has on your patients’ overall health and why a progressive treatment philosophy is at the core of delivering high quality care while being extremely productive. Success comes from having a clear step-by-step system for identifying disease, planning treatment, enrolling and performing the therapy. So often I see teams doing everything right but the fact that there is not a system creates confusion for the hygienist and the patient and so the best care is not presented or accepted at the level you desire and that is possible. Beyond the science of hygiene, it takes a well-run business to make a hygiene department successful. This includes setting goals for growth and reaching them, creating accountability for implementation, time management, systems for keeping patients in the ‘re-care loop’ and engineering the ideal hygiene day. We’ll take a close look at how to pace yourself for future growth, when to add hygiene hours and how to truly ‘schedule to goal’. Being responsible for enrolling all or most of the dentistry that goes on your books is a big load to carry alone. That’s why empowering your team to enroll perio AND restorative care is a huge step toward building a successful practice. Creating a team that is confident in sharing their observations and guiding patients down the right path requires time spent educating the team on your personal treatment philosophy. In addition, proper training creates the confidence they need to actively co-diagnose and create preliminary treatment plans so when you enter the hygiene room, the enrollment is 90% complete. We’ll share systems and steps needed to achieve this type of synergy with your team. I’ve been asked by many doctors “How do I get my hygiene department to run itself?” The real desire here is to have hygienists that are excited about their opportunities for service, career building and financial success as part of your practice. A hygiene team full of leaders means they bring YOU new ideas on how to grow the service mix, productivity and strength of the department. There is room for more than one leader on a dental team! Holding onto old beliefs, information and judgments about patients is one obstacle that may keep you from reaching your goals. We’ll get ‘real’ about how your team perceives the value of your services making sure they understand that it’s their ethical duty to present the best treatment to your patients and give them the opportunity to say yes or no. A hygiene service mix that’s ‘prophy heavy’ will never reach the same level of success as one that thrives on a variety of services including periodontal care, professional products and high level diagnostics. We’ll work to create goals for your perio percentage and what services you can add now to increase the level of care and production that occurs in hygiene. In addition to creating results now, you and your team will map out services and procedures to add 6, 12, 24 months from now. You’ll set your sites on always striving for the ‘next level’. You’ll create a plan to implement these items in a systematic way that won’t overwhelm the team or the patients. This will ensure you’re on the leading edge of dentistry in your community and it serves to keep hygienists engaged and enthusiastic about their position in your practice. As dental professionals, we’re often the first to minimize the impact we can make on our patients overall health. A full and satisfying career as a dentist or hygienist begins with recognizing yourself as an integral part of the healthcare team. One step toward this will be increased communication with your patients’ dental specialists, physicians and incorporating complete medical history reviews and medical testing to demonstrate your team’s awareness of whole body wellness. Customizable physician letters and the addition of high level diagnostics will open your team’s eyes to the possibilities to step boldly into this new realm of dentistry. Yes! The result of our work is an approach to hygiene that allows you to realize the profits that are lying within your patient base that you haven’t yet tapped into. The key to your success is consistent and deliberate action—on your part and the part of your entire team. We can give you the system…but it’s up to you to put it into action. That’s what creates long lasting, sustainable results. Click here to see some examples of our clients’ results. Obviously, it depends on where you’re starting and your objectives. Many of our clients experience dramatic (20-50%) growth in hygiene production per hour within the first 8-12 weeks. These results often cover your coaching investment quickly so the rest is profit. Be a strong leader, holding yourself and your team accountable for completing your assignments and being committed to the systems we put in place. Understand that it’s not a ‘quick fix’, it’s not magic and it takes up to a year for you to plant all the seeds and for those seeds to grow into the fruit that you can enjoy. It will take work, on the part of you and your entire team. You will all be asked to ‘stretch’ past your current way of doing things to step into a higher level of care and productivity. All our clients who have diligently applied every step of The Hygiene Profitability System have successfully grown their business through hygiene, in much less time than they would have on their own AND have seen the increased revenues to prove it. Yes, a resounding Yes! Many clients are excited to report that they were able to cover their investment often after only 1-2 months into the coaching program. I want you to stop reading for just one moment to ask yourself, “What is one perio therapy case worth to me? What is the average revenue I make from the lifetime of that one patient?” It will take only a handful of those cases to cover your coaching investment. In many cases, our clients generate 10 times what they invested within 6-12 months. The information and skills you learn with The Hygiene Profitability System will net you 100 times what you invest in the next 10 to 20 years… something to think over. Rachel, based on everything I’ve read and heard about you and your team, I know you’re the one I want to learn from. What are my options for getting started with you? Congratulations on making a decision for success! My team and I are happy to work with you to achieve your goals. We have several programs that fit your needs and the level of investment you’re ready to make. The programs are outlined in detail on our Coaching Services page and I encourage you to read them carefully. Here are a list of our current programs and services. 1-We highly recommend that you start with the 5-Point Hygiene Analysis Report. This report analyzes the five key areas of a hygiene department: perio percentage, supply and demand, service mix, re-care and scheduling and profitability. The report will tell you just where your hygiene team stands in each area and specific strategies for improvement. This report alone can create a roadmap for growth for a team with very strong leadership and implementation skills. It may also be a stepping-stone toward the “Elevate” or the “Kick Start” programs. 2-For those doctors and teams that want to move fast in tapping into hygiene profits can also contact me to apply for the Elevate Coaching Program. This program includes one of our lead hygiene productivity coaches spending 3 days one-on-one with you and your team in YOUR office. If accepted, we’ll spend 9 months together creating strategies and a step-by-step plan to reach your hygiene service and production goals fast. We’ll have full team workshops to make sure everyone is on the same page with new systems and protocols you’ll implement. You’ll also have unlimited access to the Hygiene Profits Mastermind group AND every Webinar Series that is offered during our coaching time. To learn more and schedule a ‘get acquainted’ session, email Margo at Margo@InspiredHygiene.com. Great! Did you know that one of the most prominent characteristics of successful people is that they take action? They take educated risks, are decisive, and they move forward towards success faster as a direct result of this. It’s a well-known fact these people make decisions based on their gut instinct. So, that being said, since this feels right for you, then go for it. Here’s what to do: Just email Margo at Margo@InspiredHygiene.com and we’ll get you started right away. If you have questions, we’ll be sure to get them all answered for you. We can’t wait to meet you on the phone to get you started on your path to more hygiene profits, higher levels of service and pride in your team’s accomplishments. I’m not sure I’m ready to get started. How can I sample your work at low cost to see if it’s the right solution for me? A great way to sample The Hygiene Profitability System is by subscribing to the weekly video newsletter. The Inspired Hygiene newsletter provides you with high-content articles and video tips from our Hygiene Profitability Coaching Programs. It is a must for anyone who wants to tap into hygiene’s profit potential. Subscribe here. Another way to sample our work is by requesting our free CD “Secrets to Increasing Hygiene Co-Diagnosis”. You can get that right now at www.InspiredHygiene.com. I’m ready to do this for myself and my team, but I have a couple of additional questions. Can I call you? Absolutely! Just email Margo at Margo@InspiredHygiene.com or call us directly at 877-237-7230 and we’ll be happy to walk you through the different options to see which one will be the very best for you. If you have a few questions for me personally, email Margo at Margo@InspiredHygiene.com and we’ll schedule a personal ‘get acquainted’ session. We can’t wait to see you succeed and are honored to be the ones to help you. Let’s get going!